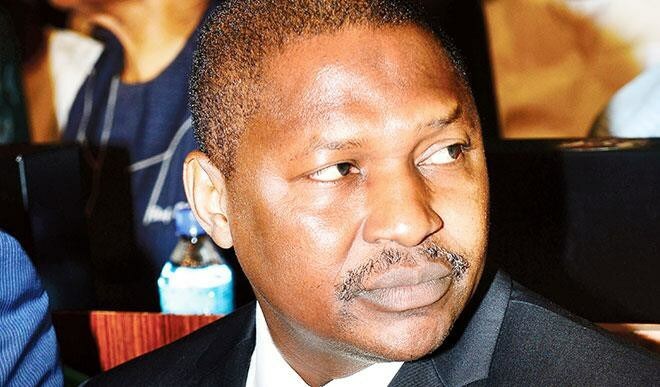 The Minister of Justice and Attorney General of the Federation, Abubakar Malami, has denied writing a letter to the Independent National Electoral Commission calling for a postponement in Zamfara State election. The election body had yesterday in a statement claimed that it did not receive any letter from Malami calling for a postponement. Malami in a statement through his media aide, Salihu Isah, claimed that the reports that he asked INEC to postpone elections in Zamfara State as false and misleading. He stated that he only draw the attention of the commission to consider the judgement of the Court of Appeal in favour of the APC. ‘AGF letter to INEC dated February 13, 2019 – A Clarification,’ read: “The attention of the Office of the Honourable Attorney General of the Federation and Minister of Justice has been drawn to a recent publication by certain social media and conventional news outlets stating that this office had purportedly requested INEC to postpone the elections in Zamfara State. The Office of the Honourable Attorney General of the Federation wishes to emphatically reiterate that this report is false and misleading. He claimed that the constraining circumstances were caused by INEC’s refusal to comply with the Zamfara State High Court judgment. Malami stated that INEC had relied on a Federal High Court judgment, which nullified the primaries, whereas the Court of Appeal’s decision in reference has now effectively overturned this decision and upheld the said APC primaries. In supporting his position, the AGF made reference to the provisions of sections 38 and 39 of the Electoral Act, 2010, which allows INEC the latitude and discretion to extend the time within which a political party may duly field a candidate for an election where unforeseen circumstances constrained such a party from doing so within the stipulated time frame. “It is, therefore, our position that shutting a candidate out of the elections despite a subsisting Court of Appeal’s decision mandating otherwise would lead to a miscarriage of justice and certainly not in the interest of giving all parties in Zamfara State a level playing field. Our letter to INEC is, therefore, in line with the subsisting Court of Appeal’s decision as well as Sections 38 and 39 of the Electoral Act, 2010. “It is at this point mandatory to reiterate that the issue for contention by the parties before the trial and appellate court was in no way and by no stretch of imagination extend to the presidential election, which at any rate was not an issue contemplated for determination by the trial and appellate court. He called on the public to note that his office would not interfere with INEC’s mandate to conduct free and fair elections.